Aprons have been used to tie on a little extra protection in the kitchen for generations, and wearing a special apron can be a small but fun way to celebrate a special occasion. 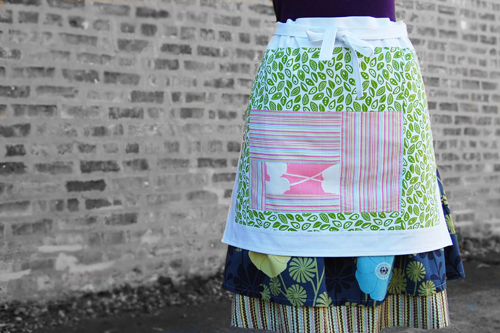 Not to mention that handmade aprons make fantastic holiday gifts! We’ve gathered together some of our favorite free apron projects perfect for the holidays and gifting. If you love making aprons like we do, and want to bring a little joy to someone in need this November, then we’d love to introduce you to National Tie One On Day 2014, proudly sponsored by BERNINA. There are three simple steps to sharing through National Tie One On Day: Wrap a loaf of bread or other homemade treat in an apron and tuck in a sweet note. Then tie one on – an apron, of course! – and deliver the wrapped bundle to someone…a neighbor, friend or charity…without your bounty and in need of physical or spiritual sustenance, a bit of recognition or just a kind word. Be sure also to visit the NTOOD website to enter in the many great giveaways! 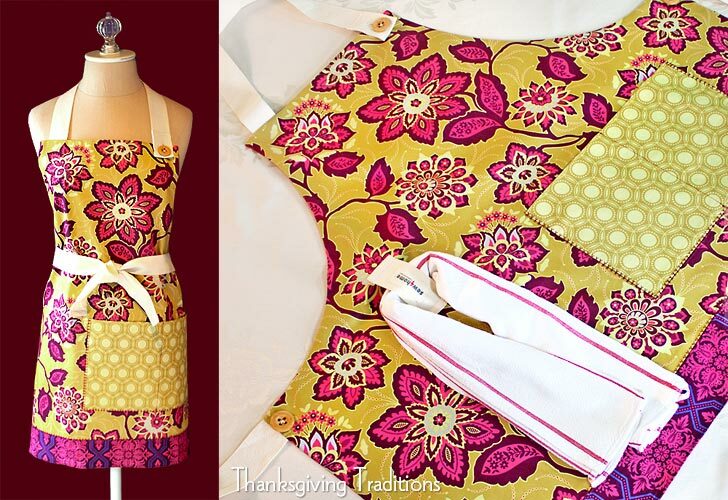 Get the free tutorial for making your own So Very Thankful apron from Riley Blake Designs. Make it in your favorite fall colors and add your own personal message with hand or machine embroidery. This is a simple apron that includes a handy loop to hold a kitchen towel in place. 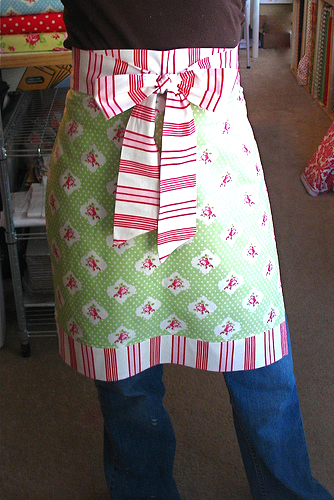 Find the Festive Cook’s Apron With Handy Towel Loop tutorial at Sew 4 Home. 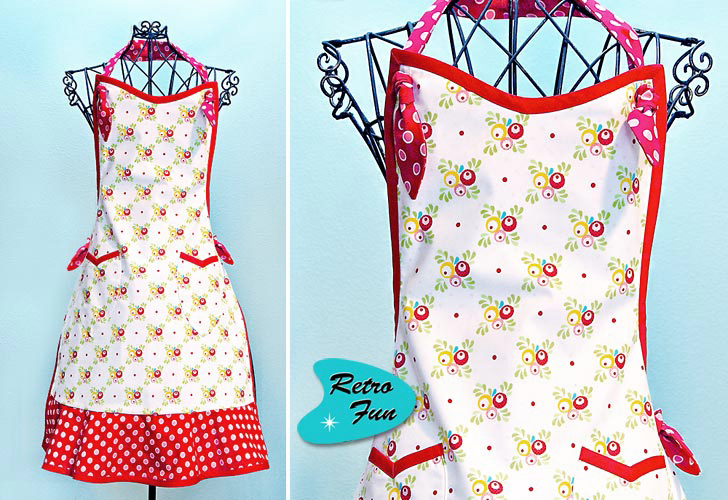 We just love this fun Retro Vintage Style Apron tutorial from Sew 4 Home! What could be more down-home for celebrating Thanksgiving than wearing an apron just like Grandma’s? And the best part – it’s reversible! All you need is one hour to stitch up this simple, pretty Christmas apron! 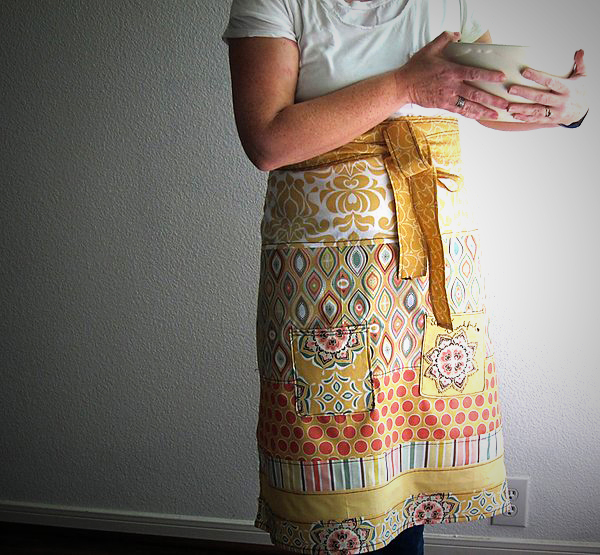 Get the Apron In An Hour tutorial from Stop Staring and Start Sewing. 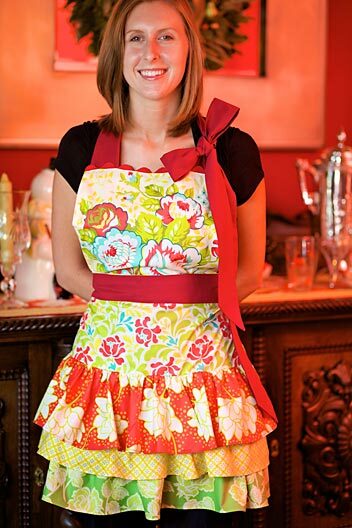 Use festive prints to make a fancy full apron! 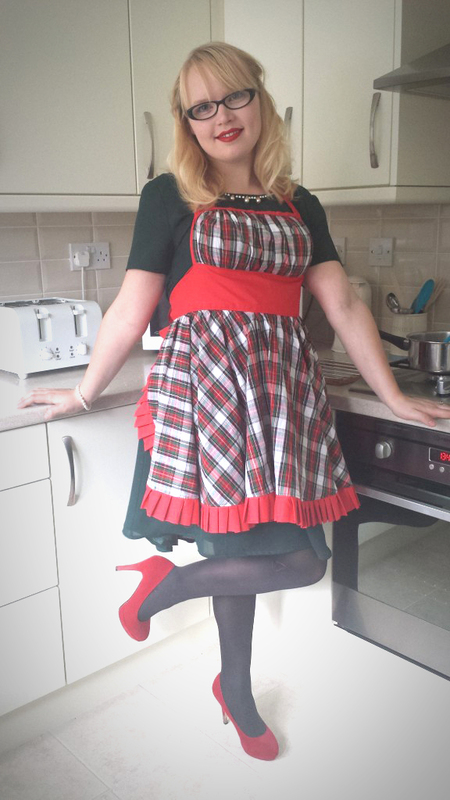 Get the Christmas Apron Pattern and tutorial at So-Sew Easy. 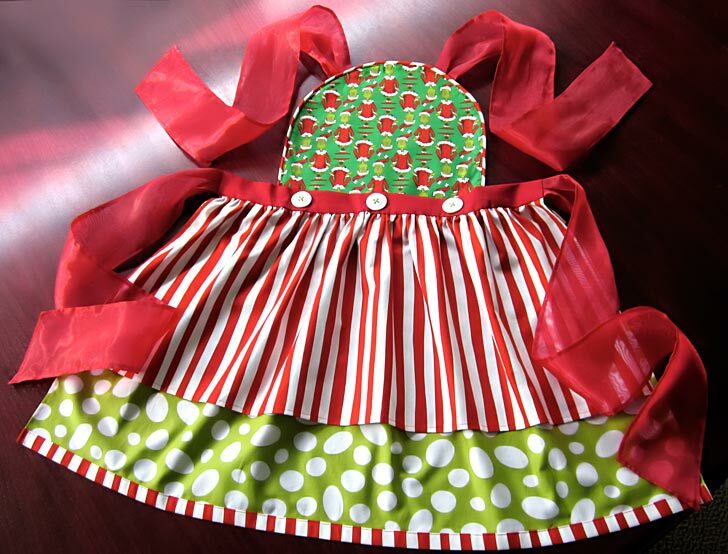 If you must be a Grinch, do it in style with Sew 4 Home’s free Be A Grinch apron tutorial. 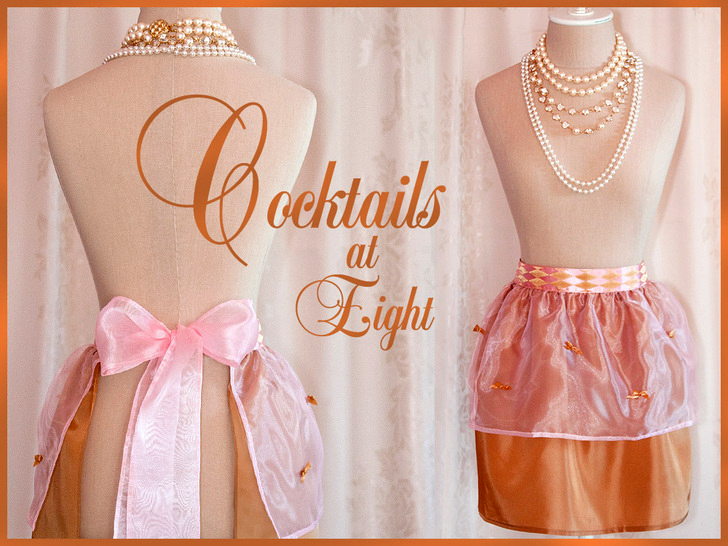 Be the hostess with the mostest in an elegant cocktail apron. Find the Cocktails at Eight tutorial at Sew 4 Home. Create a simple yet stylish hostess apron with the DIY Hostess Apron tutorial from Style Me Pretty Living. This hostess apron is pretty enough for any party with ruffles, trim and a big bow. Find the Hostess Apron tutorial at Sew 4 Home. 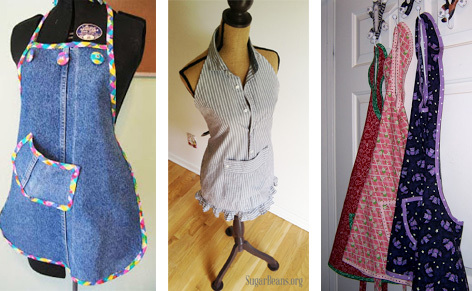 Here are a few of our other favorite apron projects! Make a Modern Log Cabin Patchwork Apron in holiday fabrics or colors to celebrate in style. 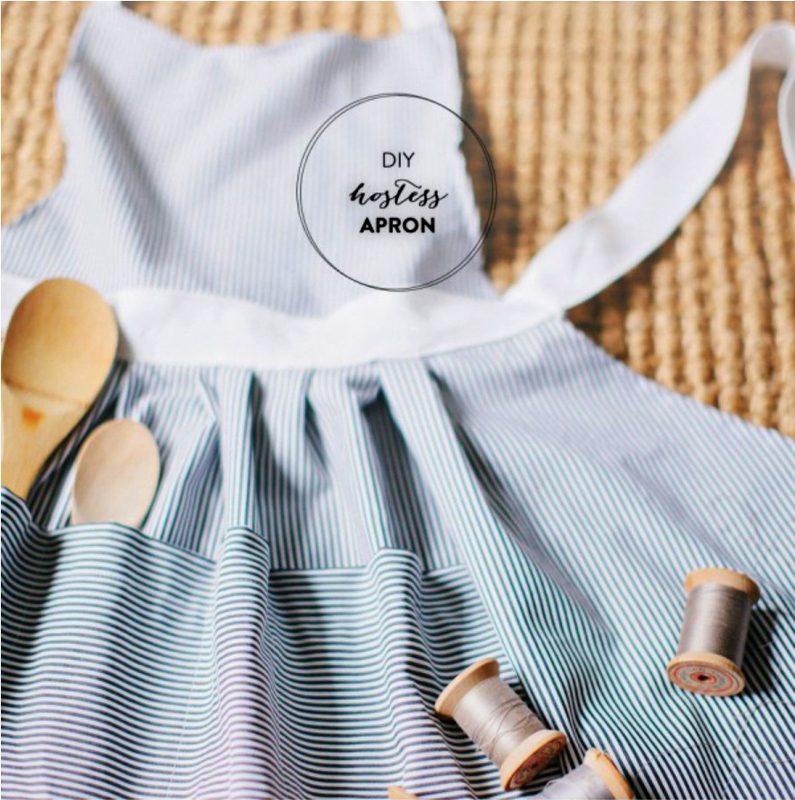 Find 15+ Free How To Make An Apron Projects for even more apron inspiration!